We are presenting a qualitative range of Ledger to our customers. This ledger is designed at our ultra-modern manufacturing unit using the superb quality raw-material and progressive technology in conformance with defined quality standards. - All pipes are made up of aluminum alloy he 30 grade t6 temper. Our company also offers Horizontal Ledger in varied sizes and capacities. The forged blade end fits in the cup of the Vertical The simple robust design ensure that horizontals need no maintenance. we deal in all types ofLedger with best quality products. client satisfaction is our main aim. - Components: standard, ledger, diagonal brace, transom, tie bar, hop up bracket, steel plank, adjustable base, etc. 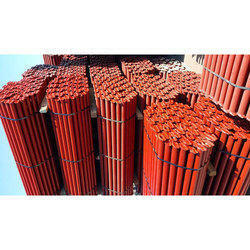 We are offering a wide range of Horizontal Scaffolding Ledgers. We manufacture and supply best in class Stage Bracket for our valuable customers. Manufacture as per the industry set norms, the offered stage brackets are known for their durability and dimensional accuracy. 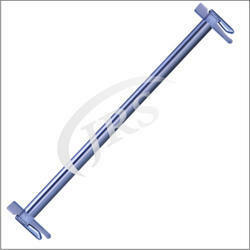 In addition to this, these stage brackets are used for various industrial fastening applications.